Get an inside look at the attitudes, behavior and techniques necessary to succeed at anything. 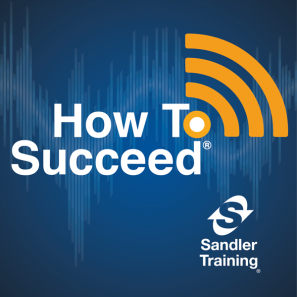 as he interviews Sandler trainers, authors, and experts about how to succeed at absolutely anything. You will learn how to get to the top and how to stay there! Today's topic "How to Succeed at Digital Prospecting"
Mike Jones, Sandler trainer and author of the new book, Digital Prospecting, shows you how to succeed with the attitudes, behaviors, and techniques needed to be more successful at modern prospecting. Get the best practices collected from around the world with his co-author, Ken Guest. When you connect personally with consumers one on one, you increase your potential to earn more connections, conversions and customer loyalty. We encourage everyone, whether you're a client or not, to share your idea of success and what success looks like to you. There are millions of success stories out there and Sandler wants to share and celebrate them all! 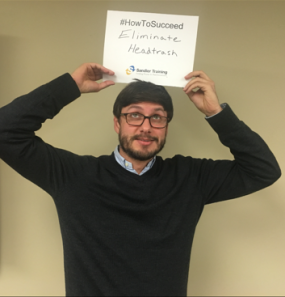 Share your story and continue the conversation using #HowToSucceed.